Property owners have an obligation to keep their premises in a safe condition. When they don't follow through on that obligation, catastrophic injuries can occur. Icy stairs, inadequate security, wobbly railings, unattended swimming pools, malfunctioning escalators, and improper lighting are just a few examples of the hazards that lurk on negligently maintained properties. These hazards often end in disaster, causing accidents that bring about unimaginable pain and suffering. Unsafe premises have been responsible for causing broken bones, spinal cord injuries, severed limbs, head injuries, and even death. 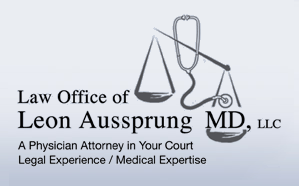 Dr. Aussprung's expertise as a trial lawyer and physician make him uniquely equipped to master the complexities of premises liability cases. If you or a loved one have been seriously injured or killed because of a property owner's failure to safely maintain its premises, contact Dr. Aussprung today.